Caption slip reads: "Photographer: Paegel. Date: 1956-07-20. Reporter: Kline. Assignment: Fur thefts. Capt. R.W. Huff, and Lt. R.W. 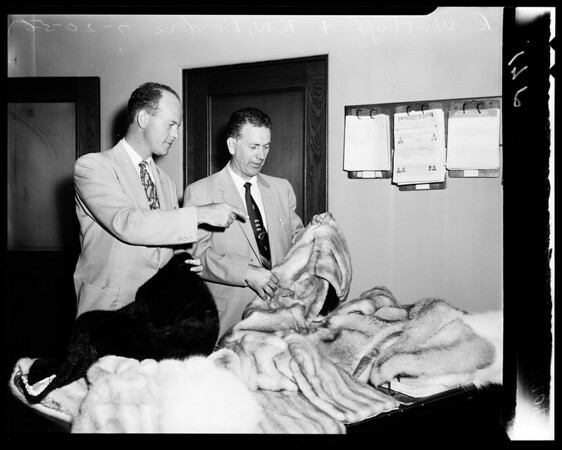 Borders examine furs in Bev. Hills police room. Lt. Borders examines furs hanging on coathangers".